NEW ORLEANS (WVUE) – Mayor LaToya Cantrell wants millions of dollars from the Convention Center and said the city is not getting its fair share of hotel tax money, when compared with other major cities. “I have recommended a task force be convened, and come up with a recommendation in 30 days,” Cantrell said. Last month, the Bureau of Governmental Research put out a report which showed cities like San Francisco get more than 70 percent of hotel motel tax monies to pay for municipal needs. New Orleans only receives 9 percent, and the mayor wants to change that equation. In a one-on-one interview with FOX 8, Cantrell also revealed she wants to tap into the $245 million Convention Center surplus reserves and is asking for $75 million of it. “It’s imperative we get the upfront, because we have a cash flow issue in sewerage and water board right now, and that cash flow will prevent us from tapping into the federal dollars that have been allocated to reinvest in infrastructure in this city,” Cantrell said. The surplus was first identified in a FOX 8 Lee Zurik investigation, which showed the Convention Center uses some of that money to revamp the street in front of the facility. But the mayor said she believes that money could be put to better use. “We have problems,” Cantrell said. “[An] over 100-year-old failing pipe burst last week, 110 years old,” Cantrell said, referencing the water main that burst downtown last Wednesday (Feb. 13). The mayor said the task force will include representatives from the governor’s office, and she hopes it will go a long way toward helping the city get a more fair share of hotel tax revenues. However, Cantrell said she has a plan B if needed. BGR representatives said a one penny sales tax, eliminated 50 years ago when the Superdome tax was approved, should be restored, and Cantrell said she has not eliminated that as an option. Convention Center officials believe the tax monies help fuel entities which stimulate the city’s economy, which the mayor agrees with. 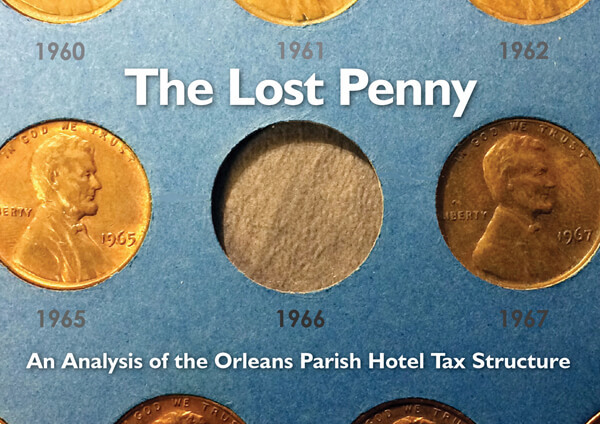 But she and BGR said it’s time to revisit more than a dozen New Orleans hotel taxes which may have outlived their intended purposes. In a statement Tuesday afternoon (Feb. 19), Kristian Sonnier, spokeswoman for what was formerly known as the Convention and Visitors Bureau, said they are open to Cantrell’s propositions. “We look forward to evaluating the mayor’s plans for allocating and spending the monies she is seeking, and will continue to cooperate with the mayor and her team on this important work,” Sonnier said in a statement. Cantrell said she’s hiring new auditors to go after other city taxes and fees that are now going uncollected.